Instructions for Guests View maps and directions. Sponsors Bethel Department of English and Friends of the Bethel University Library. 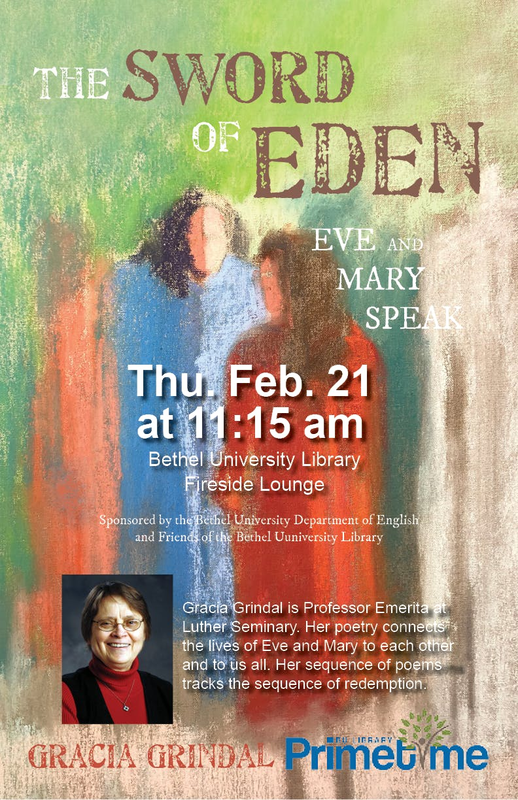 Gracia Grindal, Professor Emerita at Luther Seminary reads from her new book of poetry, The Sword of Eden: Eve and Mary Speak. Her poetry connects the lives of Eve and Mary to each other and us all the sequence of redemption.